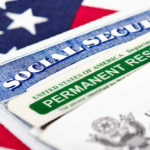 NextRenew a Green Card or Apply for Citizenship? Individuals who come to the U.S. for protection from persecution in their home country because of their race, religion, nationality, membership in certain social groups, or political opinions can apply for asylum within one year of arriving in the U.S. Submit to USCIS a Form I-589, Application for Asylum and for Withholding of Removal. If you’re seeking asylum, you may want an Employment Authorization Document (EAD). An EAD is also known as a work permit. When can you get an EAD? You might want the permit so that you can work, or you might just want it to use as an ID. The permit is a card that includes your photo; name; birth date; USCIS number; immigration category; the date the card was issued; and the date the card expires. Asylees can work immediately, without an EAD. But asylees who want a card can apply by submitting Form I-765, Application for Employment Authorization. Asylum applicants who haven’t received a decision in the 150 days after properly applying can also start their work permit application using Form I-765. USCIS can give you a work permit 30 days after receiving your complete application. So, the total wait is at least 180 days. Any delays to USCIS processing your asylum application that you cause or ask for don’t count toward the 150 days. For example, you can’t count days when you reschedule an interview or miss an appointment. Once you’ve been granted asylum, you can apply for a Green Card after one year. To apply, submit Form I-485, Application to Register Permanent Residence or to Adjust Status.